When one thinks of the capital for the housing market in Australia, Sydney is probably the first place to come to mind. With its ever-rising house prices, it just seems reasonable that it’s at the top however new research done by BIS Shrapnel reveals that Sydney may not be in the lead for too long. BIS Shrapnel have released a study which predicts where Australia’s housing market is headed up till 2019. While Sydney is a leader in the market now, the study revealed that both it and Queensland were likely to see a drop in home values, while the Sunshine Coast, Gold Coast, and Brisbane were the top winners. After observing all the data, BIS Shrapnel reported that the regions with the greatest potential for average and median growth in the housing market between now and 2019 are Brisbane and Hobart. All research points that Brisbane’s house prices are likely to rise as much as 7% over the next three years. Moving right along with Brisbane’s outlook are the Sunshine Coast and Gold Coast, which are expected to see increases of 7% and 11%, respectively. 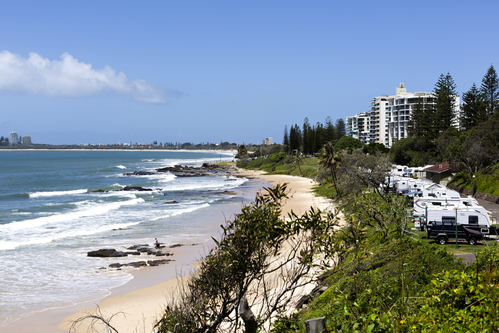 Because areas such as the Sunshine Coast and Gold Coast have seen very little development in recent years, BIS Shrapnel explains that this has resulted in tight vacancy rates. The limited housing is turning the prices in these areas on the rise. New projects such as the Sunshine Coast University Hospital, which is almost completed, have added to the change in the housing outlook. In North Queensland, the outlook is headed in the other direction. With the decline of the mining and resource industries, house prices are expected to steadily decline and should plunge to lows that bottom out in 2018. After 2018, BIS Shrapnel predicts that the northern market will calm down and steady out. Townsville and Cairns, which have current vacancy rates of 6%, are still looking at a long road ahead before the market shifts in their favour. By June 2019, researchers predict that Townsville will see a 35% reduction in house prices when compared to December of 2007.